Recently, simulations with coarse-graining models, such as coarse-grained molecular dynamics (CG-MD) and dissipative particle dynamics (DPD), have attracted practical interest. We have developed a portable code CAMUS for DPD simulations. 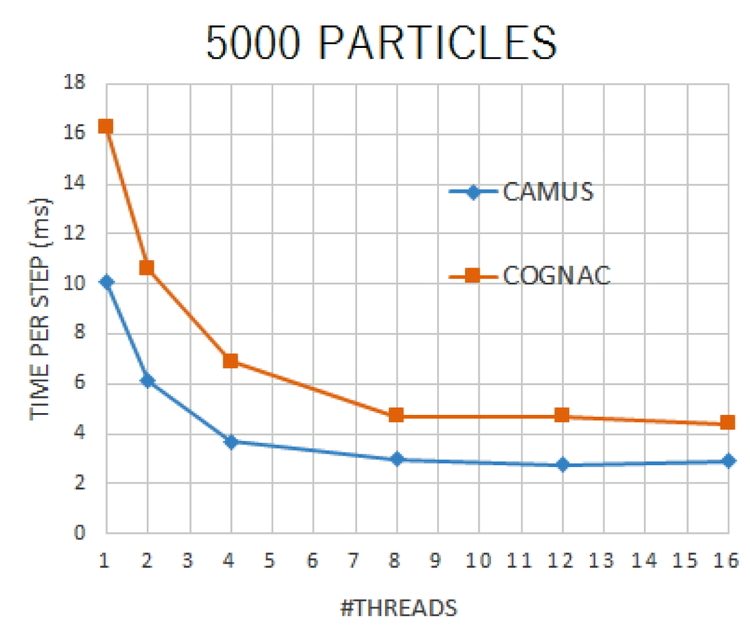 Performance evaluations of CAMUS (Code for dissipative particle dynAMics simUlationS) have been made by comparison with COGNAC (Coarse-Grained molecular dynamics program by Nagoya Cooperation) as a standard DPD code, in 5,000 − 100,000 particles systems.